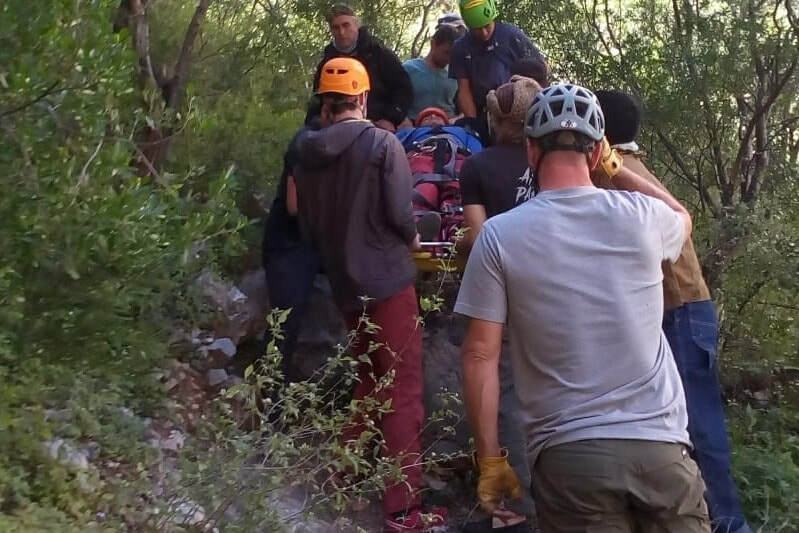 Visiting climbers helping work an injured climber down the trail. This season we've seen several climbing accidents in EPC, mostly foot and or ankle injuries. We had one major accident that occurred that required local Search and Rescue from Monterrey to come in for a helicopter extraction. Luckily that climber suffered no major injuries. So for the past couple months in Potrero, we have seen a great progress towards helping protect the climbers coming to EPC in the event of accidents. A couple local guides have spent time raising the money to afford rescue gear. Rudy Peckham and Karla Moya, have been working with the local Protection Civil in the past and currently to handle emergency situations and are trying with limited resources to create a rescue team. And I'm excited to know that the goal has been reached!! A big thank you to all for helping out with this great effort. It's always so great to see how awesome this climbing community is here in Potrero. In my opinion, the best in the world. Welcome to the EPC 2017 climbing season!! Hey everyone, glad to put an update out on the site for everyone for the upcoming climbing season in El Potrero Chico. The season has already kicked off and there is plenty to do when you get here. There are almost 30 new routes since last season and I'm getting them updated as fast as I can on the digital version of the guidebook available on the app Rakkup for and Android and I-phone. The first project on my hands when I get into Potrero is to check out all the new routes myself, and then start working on getting photos for all the rest of the routes in Potrero. Currently about half of the routes have topo photos but will soon try to get that up to 100%. It takes a bit of time getting to all the walls and routes but I know will help everyone find exactly what it is they want to climb on. I will post more information about the Rakkup update as soon as it's available. A reminder out there to the developers that are wanting to come down and get their bolt on, hit me up on the New Routes page to send me the latest info on your development in order to help everyone will all the awesome new climbs. Also I wanted to put a reminder out there to people that may be purchasing guidebooks through the site. If your trip is coming up on you shortly and can't wait for the shipping time, get in contact with me via the Contact page. I can get books to you in person in Potrero or can help ship it with a more expedited shipping process. ​I'm currently in transit to Potrero Chico and will be arriving there on November 17th, so let's meet up and get in some rad climbing!! I'll be staying at Rancho El Sendero and look forward to seeing you all this winter!!! Mike Burdon on Bottom Feeder 5.12d at the Surf Bowl. 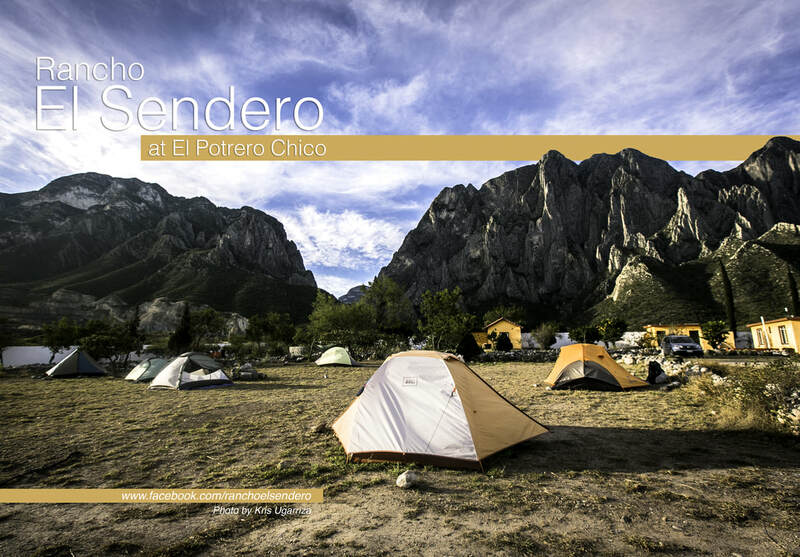 Hey Everyone, the new website for the brand new El Potrero Chico guidebook is up and running. I can't wait to share with everyone all the new route information and awesome pictures that will make climbing in EPC easier than ever. The guidebook is almost finished and work on getting it printed this winter is well underway. The new guidebook will be a full colored guidebook containing lots of new photos to help you identify the routes at all the crags, as well as pitch by pitch breakdowns of the routes. Until then though you can check the guidebook page for a link to getting the digital version available at Rakkup.com. The digital version works on both Android and iPhone systems and is an excellent app for rock climbing guidebooks. Check it out and let us know what you think. This website will not only be a place to buy the printed book in the future, but also a great resource for new developers bolting routes in El Potrero Chico. Here on the New Routes page you will be able to submit new routes and FAs of open projects in order to help get the information into later editions of the guidebooks. The new climbing season is upon us here in EPC and I can't wait for everyone to get down here and start climbing on the incredible walls of Potrero Chico. A climber originally from Ohio, spends most of his time traveling and climbing back and forth between Red River Gorge, KY and El Potrero Chico, Mexico.